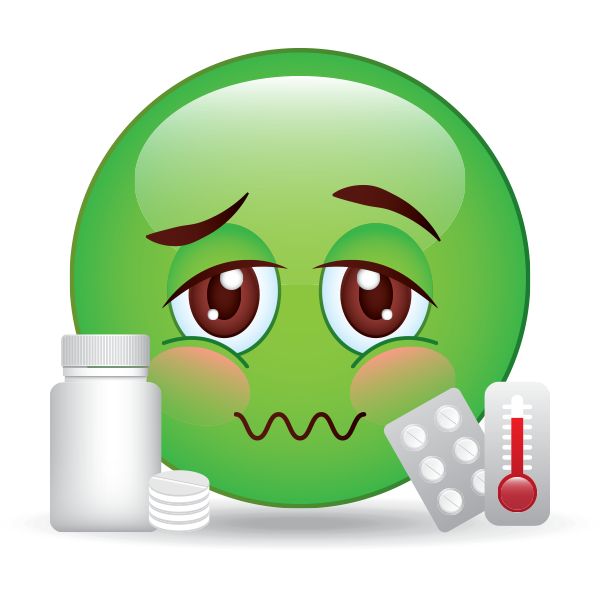 This emoji is definitely feeling under the weather. When you're feeling green under the gills, you can post it to convey exactly how you feel. 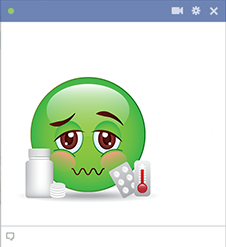 Our smileys are designed to work anywhere you post them on Facebook. Because they're free to send, you can post as many as you like each day.